All inputs in this view are 100% optional, don't know the grade then skip. Coin Grade allows you to enter whatever grade you choose, whether the coin is graded in a 3rd part plastic slab, or a simple 2x2 card-board holder. 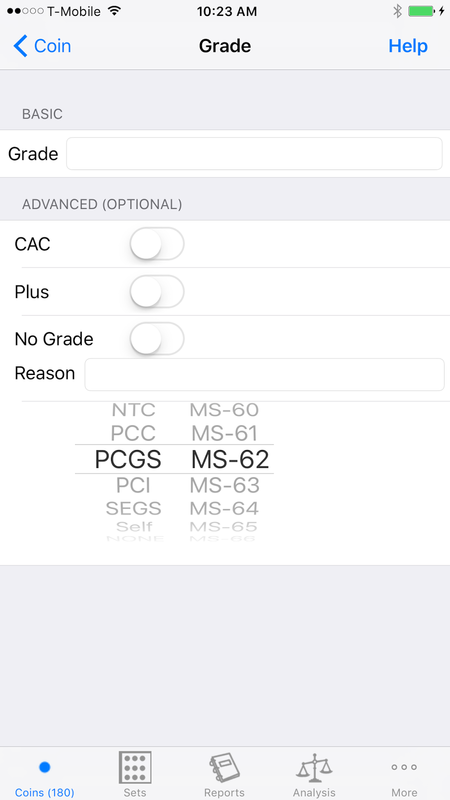 In the Basic section, you have the choice of entering a text description of the grade, and calling it a day. If you prefer a more precise designation, use the Advanced section.